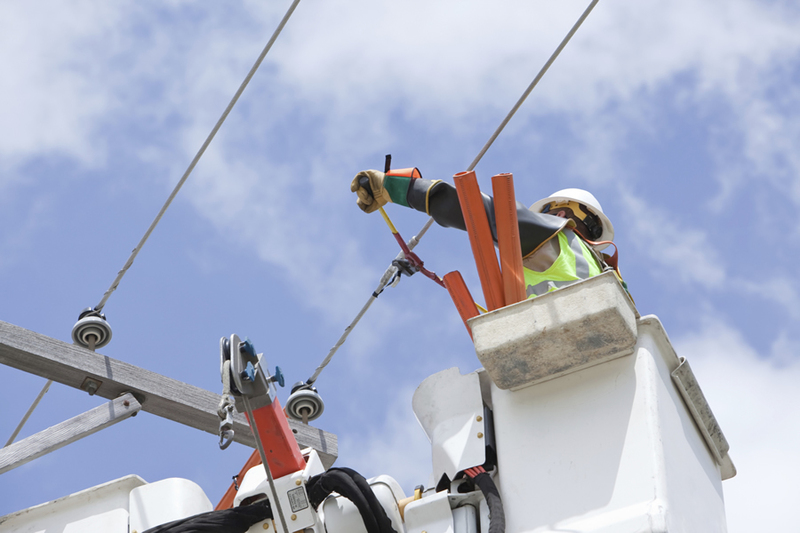 Troubleshooters for electric utilities assess the cause of power failures and sometimes fix outages. When I worked for a power company, I liked to ride around town with my colleague Paul. Paul was a troubleshooter—an on-call worker who hung out in his bucket truck, waiting for something to go wrong on the grid. While this job may sound like a cakewalk, troubleshooters were almost always busy. Once someone reported a problem, Paul would get a call from the dispatcher and then race to the location of the power failure. He would quickly locate where the failure occurred; radio in an assessment of the damage; and, if possible, fix the problem. Many of the issues troubleshooters encountered were caused by tree limbs falling on exposed lines, causing a short circuit and blowing a fuse. Another common problem occurred when squirrels would use the power lines as a convenient path from one source of nuts to another. (The squirrels usually didn't survive.) Each time, Paul would uncover the burned tree limb on the ground or find the fried squirrel, then figure out which fuse blew and replace it—problem solved, in most cases. In other, more complicated situations, such as someone crashing a vehicle into a pole, Paul would contact the dispatcher to send a line crew. Paul was often the point person who determined how long the job would take. 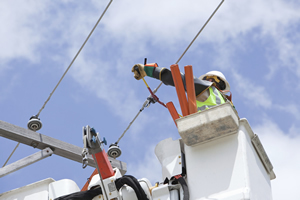 To make such an assessment, he needed to know everything about the electric network—the location of each switch, transformer, lightning arrester, and sensor; the asset sizes; and how the network was connected. 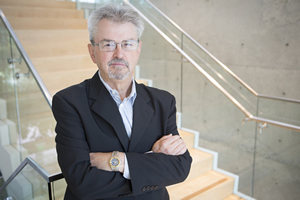 Ultimately, he needed authoritative data from the company's geographic information system (GIS). 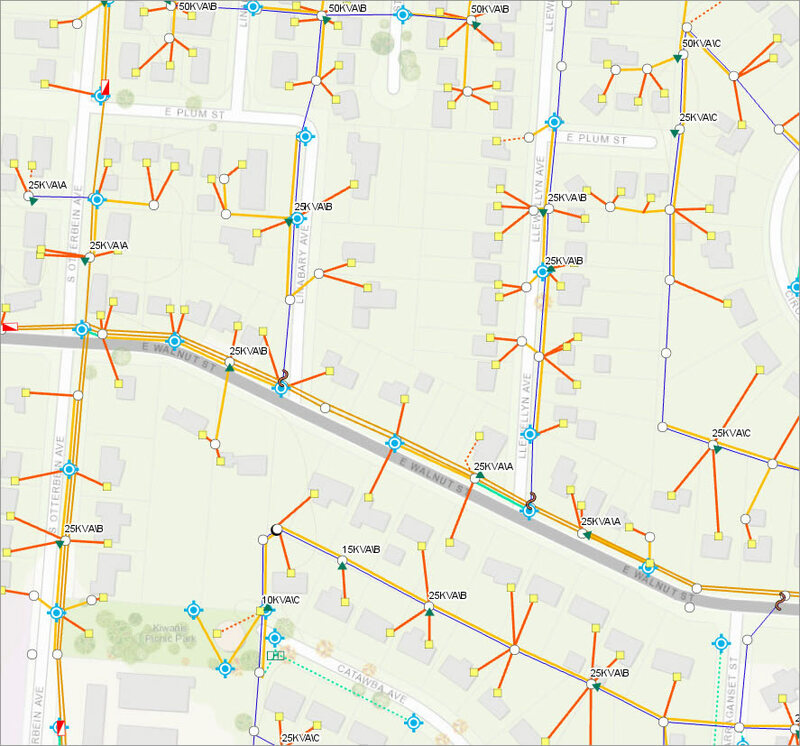 An electric network for a neighborhood is displayed using ArcGIS. And what he needed most was access to up-to-date information. One day, while Paul and I were riding around in his truck, we came upon a line switch that didn't look right. Although a power failure hadn't been reported, he still wanted to investigate the issue. He hesitated. He clearly didn't want me—the boss—to see something. But I probed, and he finally came clean. Paul reached under the seat of the truck and pulled out a huge stack of papers. They were worn map sheets and feeder maps, which were either created from the GIS or original, hand-drawn maps. 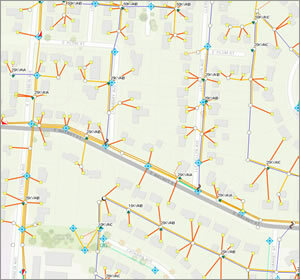 A feeder map shows the electric grid overlaid on a normal map of streets. The map sheets had very neat red markings all over them. Naturally, I asked him why he kept a private set of feeder maps. He knew that I had been the champion of the company's GIS project. He broke the news that many of the troubleshooters kept their own set of maps. They didn't trust the mapping department or the GIS to keep the maps updated. Plus, the mapping department didn't put all the important stuff on the maps, such as some hazards. He figured that if he handed over the map sheets, his life and work would get more complicated and, perhaps, less safe. I couldn't blame Paul. The mapping department was carrying a large backlog of work. Often, when staff printed a new map sheet, it wasn't up to date. Paul and his fellow troubleshooters stopped giving information to the mapping department altogether because, to them, it was a waste of time. But the problem wasn't only that Paul didn't share vital information with the mapping department—it was that he didn't tell anyone else. Managers can call up information such as work orders, crew locations or even weather reports on their mobile devices when they are out in the field. 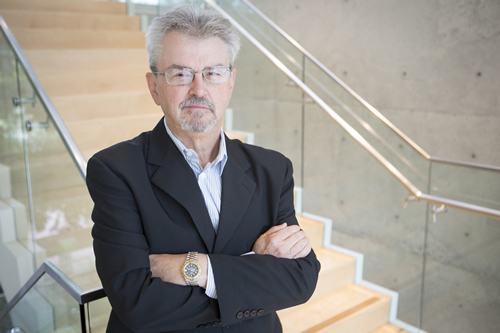 Not only did other troubleshooters—who covered the same area as Paul did but on different shifts—not have his intel, but the planners, maintenance people, and reliability engineers lacked access to his data as well. Had they known what Paul knew, these other groups could have acted and potentially prevented power failures. Paul's approach was narrow and related only to his particular job. 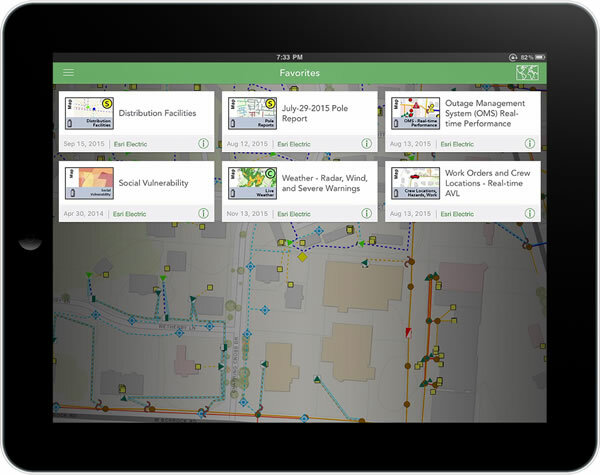 Now imagine if the power company had adopted the Esri ArcGIS platform across departments. With ArcGIS, when Paul would find a problem with a switch, he could use his mobile device to pull up the feeder map for the area he was servicing. Paul could then redline the problem area, document the issue with a note and a red flag, and take a picture. Done. From that moment on, everyone in the company who had access to the ArcGIS platform would also have access to Paul's records. And when Paul ended his shift, the next troubleshooter would know which issues and hazards Paul had encountered. In addition, back at the maintenance department office, a dashboard would show staff which assets Paul had serviced in the field. Anyone who had a vested interest in the troubleshooters' service data could update the core GIS. However, there are only so many troubleshooters driving around the city with their bosses looking over their shoulders. There are millions of other people—city workers, residents, police, and firefighters—on the lookout for hazards. They, too, can contribute their observations to the ArcGIS platform. When people smell something burning, see a tree limb dangling too close to a wire, hear a bang, or see a spark, they can document what they observe by using ArcGIS Online mapping tools. There is no waiting. Once third-party data is captured online, everyone connected to the platform has access to the information and can act on it. Bill Meehan was an early advocate for GIS. The ArcGIS platform is, in effect, a system of simultaneity. I know—that's a mouthful. Maps are the most powerful form of communication for telling someone where something happened. The problem with keeping mapping systems locked away in a closet is that they lose the quality of immediacy. When you interact with the ArcGIS platform, all users—people like Paul and other troubleshooters, planners, and even nosy bosses—get to see important data on a map simultaneously. When I think of the ArcGIS platform, I think of the three basic things it does, which all begin with the letter A. This story is about the idea of access—simply put, the ability to access information from wherever you are, on any device, and at any time. The second A is awareness. This answers the question, what's going on right now? All kinds of data come in from a variety of sources into the platform. The third is the most strategic, and may be, the most powerful of the A's: analysis. That's about connecting the dots and getting to the why of what's happening. 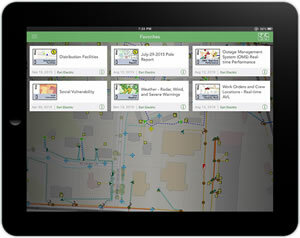 For more information about GIS for electric utilities, visit esri.com/electric.